Last year, AOL Autos Technology of the Year Award named the Chrysler Uconnect as the winner. This year, Chrysler is getting a second chance at claiming the gold. This year Mopar introduced an industry-first of including wireless charging technology for portable devices. That technology is now among six finalists up for the AOL Autos Technology of the Year Award. The award is to honor and bring attention to the companies who raised the bar the highest in automotive tech. The final judgement will be decided by a expert team of judges from numerous tech blogs including AOL Autos, Autoblog, Engadget TechCrunch, and others. 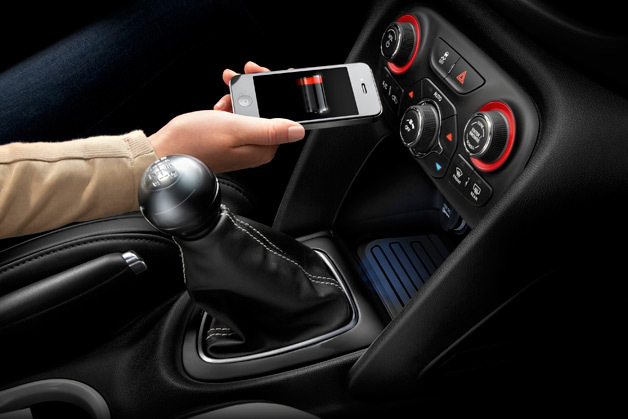 Mopar’s wireless charging is currently available for the 2013 Dodge Dart. The power bin for the system rests below the center stack and in front of the center console. When the car is started, the driver can place their smart device in the bin and let the magic happen. A specialty phone case is required to make it work, however, but that is included in the feature. Mopar’s wireless charging system is currently available for $199 plus installation. For more information on getting this amazing service installed in to your vehicle, contact our service department at Bayside Chrysler Jeep Dodge.